Green tea [Camellia sinensis (L.) Kuntze] is the fourth most commonly used dietary supplement in the US. Recently, regulatory agencies in France and Spain suspended market authorization of a weight-loss product containing green tea extract because of hepatotoxicity concerns. This was followed by publication of adverse event case reports involving green tea products. In response, the US Pharmacopeia (USP) Dietary Supplement Information Expert Committee (DSI EC) systematically reviewed the safety information for green tea products in order to re-evaluate the current safety class to which these products are assigned. DSI EC searched PubMed (January 1966–June 2007) and EMBASE (January 1988–June 2007) for clinical case reports and animal pharmacological or toxicological information. Reports were also obtained from a diverse range of other sources, including published reviews, the US FDA MedWatch programme, USP’s MEDMARX® adverse event reporting system, the Australian Therapeutic Goods Administration, the UK Medicines and Healthcare products Regulatory Agency, and Health Canada’s Canadian Adverse Drug Reaction Monitoring Program. Case reports pertaining to liver damage were evaluated according to the Naranjo causality algorithm scale. In addition, the Committee analysed information concerning historical use, regulatory status, and current extent of use of green tea products. A total of 216 case reports on green tea products were analysed, including 34 reports concerning liver damage. Twenty-seven reports pertaining to liver damage were categorized as possible causality and seven as probable causality. Clinical pharmacokinetic and animal toxicological information indicated that consumption of green tea concentrated extracts on an empty stomach is more likely to lead to adverse effects than consumption in the fed state. 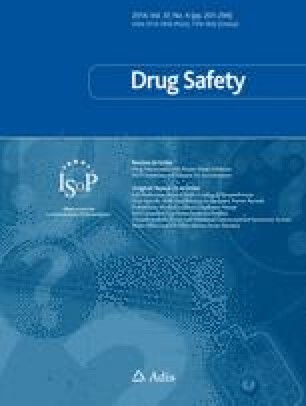 Based on this safety review, the DSI EC determined that when dietary supplement products containing green tea extracts are used and formulated appropriately the Committee is unaware of significant safety issues that would prohibit monograph development, provided a caution statement is included in the labelling section. Following this decision, USP’s DSI ECs may develop monographs for green tea extracts, and USP may offer its verification programmes related to that dietary ingredient. No sources of funding were used to assist in the preparation of this review. Dandapantula Sarma and Gabriel Gian-caspro are USP employees and authored this manuscript as part of their normal duties. The other authors are volunteer experts. All authors operate according to the USP’s strict ‘conflict of interest’ guidelines. The US Pharmacopeia Dietary Supplement Information Expert Committee thanks Roger L. Williams, MD, Executive Vice President and Chief Executive Officer of USP, and Darrell Abernethy, MD, PhD, Chief Science Officer of USP, for reviewing this manuscript, and Stefan Schuber, PhD, Director, Scientific Reports, for his editorial assistance. The authors thank the Australian Therapeutic Goods Administration, he Canadian Natural Health Products Directorate, and the UK Medicines and Healthcare Products Regulatory Agency for providing information about case reports. Dr Linda Pellicore is an employee of the US FDA. The opinions and/or conclusions expressed are solely those of the authors and in no way imply a policy or position of the FDA.